I met a bunch of you at the cruise earlier in the month but thought I'd say hi to everyone. My name is Lars, I'm in La Crosse which is full of Honda's and Subaru's which makes me sad, and is why I drove 3 hours to come meet and drive with you guys. I currently have an 06 330xi that is new to me as of September and I'm completely smitten with (pictures below). Before that I had a black 03 325i which had a lot of character but even more flaws that I didn't know about until after I bought it. It was my first car and while I feel like I made a bad financial decision with it, I still love it and miss it some days. I'm from Germany originally where my BMW fandom started when my Dad had what must have been an E30, and my mom brought home a brand new E46 many years ago. We didn't have much money usually, so those cars left quite the impression on me. 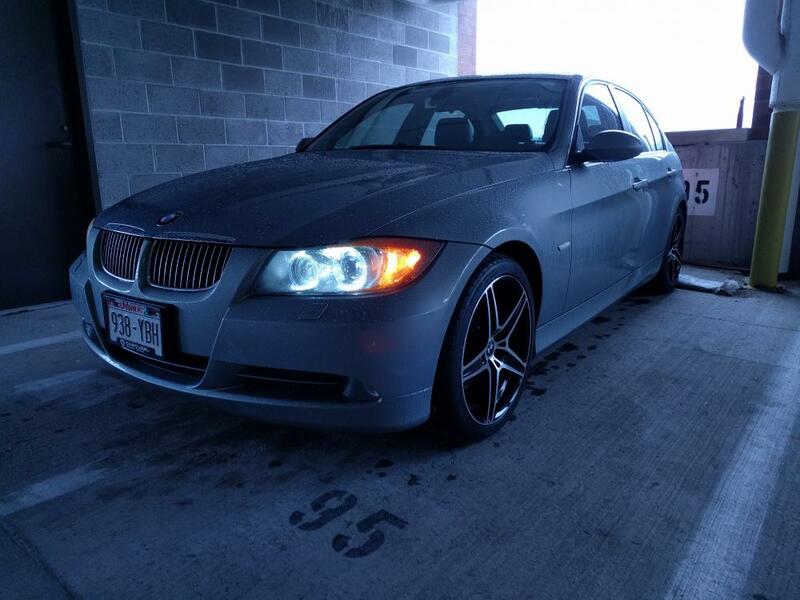 Fast forward to 2011 and my Step dad leased a brand new 328i, which eventually became the car I learned to drive in, and is probably why I pursued an E90 as soon as I had an excuse to do so. Enough about me, pics below (I just put white LED's in today after the drivers side bulb died on me). Welcome! It was nice meeting you. Like I said there is a good little group around the Madison area too and a few north of you. Saw your car at the meet but didnt get a chance to meet you. Glad to have you here! Welcome! I travel to LaCrosse periodically for work and I agree with your assessment of the scene. welcome! that picture with the sunset and the tank is stunning! Hello friends. It's been a while and car season is starting and I just put new wheels on and I'm a little excited so I wanted to share my new look with you guys. Can't wait to meet up this year and have some fun! Is that a WCEC sticker on the back window? Yeah, Alex is a good friend of mine and I want to support his vision for the club. I know some around here aren't fans, and that's fine. We're just intolerant of the asshats that have ruined a meet or the large majority of attention seeking, "look at me", brostatus, "you can't say mean things about my chevy cruze because I don't handle criticism well", entitled, self serving idiots. They have taken the word "enthusiast" and given it a negative connotation. 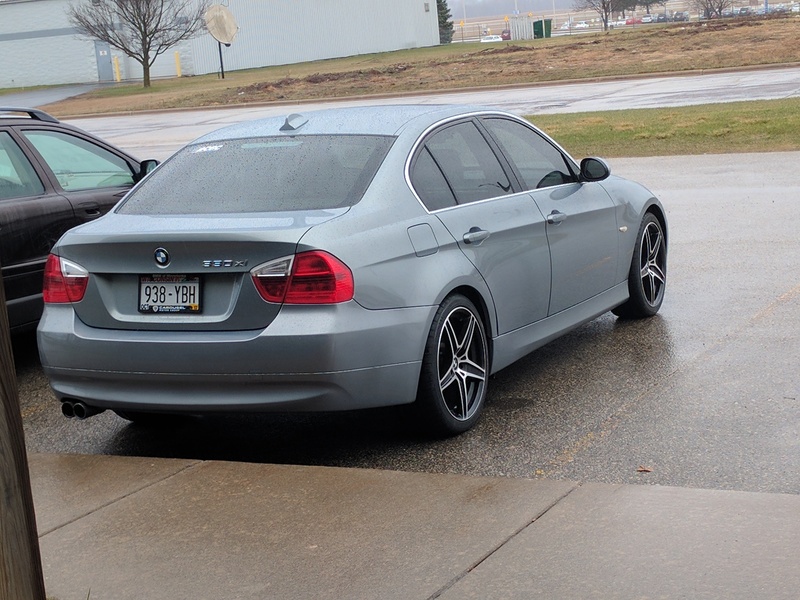 They've put a bad taste in a lot of peoples mouths and it's not for challenging the status quo and making some grand change for the better in the Wisconsin car scene. We won't autimatically dislike you for your association but your brothers haven't set the best example. Hopefully you and Alex understand why many here arent fans of WCEC. They are the Millennial douchebags of the local car scene and are equated with the tastes and shenanigans of Automotion where everyone wants to be noticed and everyone wants a gold star just for installing some wheels/coilovers and everyone customizes their cars with the same stupid stickers. Now, at this point the knee-jerk reaction is to think "man I knew these BMW guys were snobs", only partially true. The traditional BMW enthusiasm transcends normal car enthusiasm and caters to an appreciation of driving dynamics, precision engineering, balanced performance, smoothness, and good taste. The kind of people who appreciate the art of driving, the challenge of perfecting a heel-toe downshift, and the satisfaction of car control at the limit. A WCEC sticker is a badge that says "Hey, I am ALSO a car guy!" and it is ever so frustrating to accept someone labeling themselves as a car guy with stick-on LED accent lights, stretched tires, extreme camber, or other mods that dont make sense to people who care about actually driving their cars. stretched tires, extreme camber, or other mods that dont make sense to people who care about actually driving their cars. Hahaha I thought of you when I read that. The difference is you care about driving but prioritize form and accept the consequences. Yeah, I totally get what you guys are saying. And honestly, I agree. This is an interesting point of discussion (and maybe this isn't the place for it), but I associate myself with BMW clubs a lot more than WCEC. I have not even been to a show of theirs yet. Alex is a good friend of mine, and it isn't just because of cars. Certainly not because he runs a car club. In my opinion, WCEC is what happens when the car culture appeals to people of an age where cars can not financially be a proper hobby for them. Mix in the internet and a bunch of ignorant people, and you get a room full of problems and arguments. That being said, Alex has a vision that goes beyond that. It should be a place where car enthusiasts can gather and discuss things, its just filled with idiots at times. But the vision is there, I agree with it, and as his friend I support him in trying to make it happen. I am a proud BMW owner/driver first and a LONG time BMW fan way before I met him or any of you. The sticker doesn't make those people actual enthusiasts, and it certainly doesn't automatically make me a millennial douchebag. "The difference is you care about driving but prioritize form and accept the consequences." Absolutely, it brings me great joy to see Earl's 328i being driven hard and enjoyed. Earl has attention to detail and patience rivaled by nobody I have ever met! (This is not hyperbole). Hopefully I haven't rustled any feathers, but nobody should be seeking my validation anyways. Seconding what snap and patsbimmer1 said, (in my opinion at least) the problem is that WCEC, whether the people who started it like it or not, has become associated with the people that take the fun out of car meets and give 'car people' a bad name. These are typically people that neglect all maintenance, cut the springs, chop off the muffler, black out all the lights so they work less, and then show up to car meets in their safety hazards blowing vape clouds in people's faces, swearing, talking sh!t, interrupting announcers, and just generally acting (and driving) like assholes. The new wheels look good! 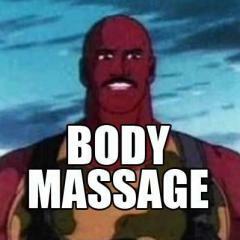 Naw, I was actually going to ask you guys earlier but I ran out of lunch time. 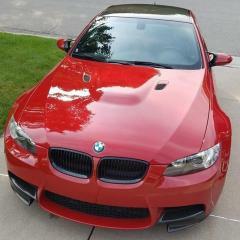 I will almost certainly be in the market for an E90 M3 late next year, and am kind of obsessed with it. Does anyone have any advice for me on what to look for and where? Common issues, pricing, etc? They will go down some before I get to go after one, but I'm going to take my time and buy the right one when I finally can. Bravo for wanting a sedan! Rod bearings are always a issue on ///M motors.